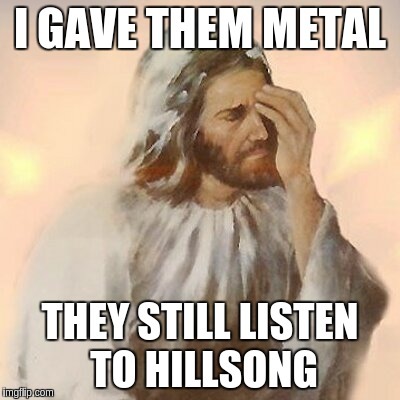 Exegesis, Indoctrination, Jesus FTW!, Keep it Metal!, Matthew, W.A.S.P. Featured musician #4 is Blackie Lawless. 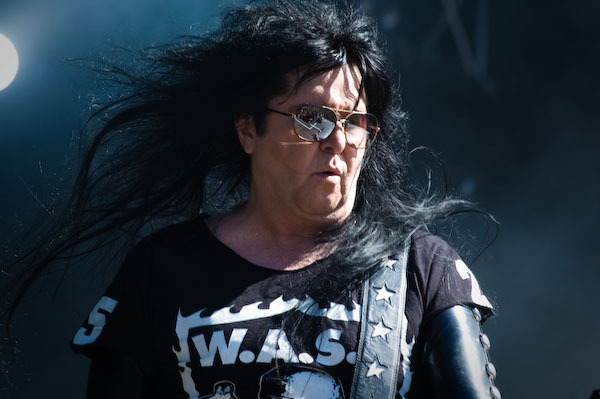 He’s the vocalist, rhythm guitarist (formerly bassist) and main songwriter for, and the last remaining original member of, the heavy metal band W.A.S.P. He’s also white, Anglo-Saxon, and Protestant. In an interview with Ultimate Classic Rock, Lawless talks about his Christian faith and about religion and the heavy metal and hard rock genre. You’re talking about a genre that, in general, is obsessed with the idea of God and/or the devil. Jazz, pop, there is no other genre that is absolutely obsessed with it as this genre is. The Bible tells us, ‘The truth has been placed in the hearts of all men.’ In other words, people know what the truth is. What I see is people in the search of the truth. They’re all on a journey, the people that are attracted to this genre are people who are really a lot more in tune with it than they think they are. I’m speaking from a direction where I know what I’m talking about. I was in the church until I was in my late teens, and when I left and came to California, I went as far away as you could possibly go. I ended up studying the occult for three years. I understand what they’re looking for — they’re looking for the same thing I’m looking for. I’m at a point now where I’m bilingual: I can speak their language. They can’t necessarily speak my language, but I can understand where they’re coming from. When we say ‘religion,’ we kind of use that as a general term, and when people have the resistance that they have to it, they have every reason to feel that way. That’s part of what drove me away — the indoctrination of men that I received; it’s man’s indoctrination. Now, from my perspective, my faith is based on Jesus Christ and the Bible — nothing more, nothing less. I don’t want to hear anybody telling me their ideas or their interpretations or interjections of what they’ve put into the Bible, like telling me I can’t eat meat on Friday, or I got to go and worship somebody’s old dead bones somewhere. That’s not in my Bible. There’s a lot of it. Every organized religion has it, every organized faith has it. That’s not where I’m coming from. When I left the church and then I studied the occult, I walked around for 20 years and thought I was mad at God. I realized after 20 years I was not mad at God, I was mad at man for that indoctrination I received. For me I had to settle this issue once and for all, because I am not going to walk around with this anxiety of what’s going to happen to me and where I’m going. I got to know the truth. I got the Bible and I started reading and I thought I was going to disprove this thing once and for all. Everyone says the Bible is written by men, but the Bible says it was men who were directly inspired by God. But I didn’t believe it for a minute. So I start reading and I start discovering and you have 66 books written by 40 different authors spread over three different continents, in three different languages, over a 2,000-year period. Most of the authors did not know each other, had no knowledge of each other, but yet I see consistently that they’re not just answering each other’s questions, they’re finishing each other’s sentences. It was mind-boggling, the deeper I got into it, and one day it hit me like a shot. I’m reading the living word of a living God. After that, I was just scratching the surface. Then, when you get even deeper into it, it’s beyond comprehension. I cannot say it strongly enough. It is beyond impossible that it could’ve been written by men. I’m a writer, and even the writers that I know that I admire, I look at how we write, I know what our limitations are, and, like I said, it’s so far beyond our comprehension. I stopped going to church in my late teens after being exposed to too much conservative fundamentalist theology. If this was Christianity, I didn’t want to know about it. It took me 20 years to find my way back. [T]he sad reality [is] that sometimes people who claim to speak for God make a very bad impression on people and it can turn them right off. This has happened to many people. Myself included. I found my way back. But many don’t. [T]he same attitudes and behaviours that drove me away are still driving other people away. And this is no good for them. And no good for the Church, which is the Body of the Christ in the world. Meanwhile, here’s the opening track from W.A.S.P.’s new album Golgotha. Previous PostIt’s time to pay the Piper Penny Bright! The Hypocrisy of a Lefty Nut Bar.Next PostHands off the NZ Flag. Facebook…. There is much to contemplate here. Thank you for sharing this. But without wanting to detract from your excellent work, I would like to address a side issue. You said the Bible has, “… 66 books written by 40 different authors.” I would argue there are more than 40 authors, because some books are almost certainly redacted from different sources. And we cannot say there are 66 books because Christians cannot agree on exactly which, and therefore how many, books make up the Bible. The Protestant minority of Christians removed the deuterocanonical books from their Bibles during the Reformation. Although they were still included in the Authorised Version (also known as the King James Version in some countries) until 1885, but they were relocated to a separate section called the ‘Apocrypha’ instead of being in their proper place in the Older Testament. So, next time you meet a ‘King James Only’ conspiracy theorist, ask them if they use the 1611 or the 1885 version. Because they don’t have the Apocrypha, then they don’t have the original Authorised Version / King James Version. It’s an interesting point. As I like to say, the Church has managed just fine for 2000 years without an ecumenical and strictly defined canon. It’s only when Protestantism arose that it became important. The Latins defined the canon at the Council of Trent in response. And the Orthodox Church has never defined a strict canon. The canon in use comes from Athanasius, who also included (and defined for the first time) the Deuterocanon, which he often quoted as inspired scripture. To me, if you are going to accept Athanasius’s canon, it’s a logical step to also accept his Orthodox faith. 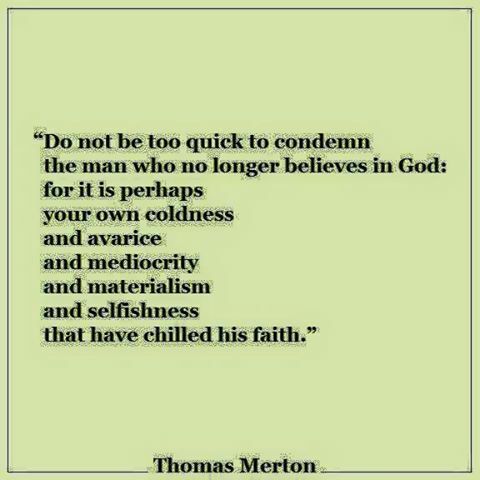 Otherwise you are saying he was wrong on everything BUT the Bible he compiled. He believed in theosis, he venerated the relics of Saints (which we see in the book of Acts btw), and he fasted (a command of Christ – and sure, you don’t HAVE to fast on Wednesdays and Fridays, but that’s what the Church does, so why not commune with them and do it at the same time, as one under authority?). Canons are important to a degree, but mostly what is important is the testimony of the Church through the appointed Apostles and their appointed Bishops. The Bible is the Bible because it agrees with the Apostles and their Bishops in Communion and Council. Interpretations that differ from those of the One Holy Catholic and Apostolic Church are not salvific. It has to come from Christ, and the only way of knowing it comes from Christ is through His Church; beliefs testified to “always, and everywhere, by all”. That’s how we arrive at a canon in the first place. I am a big fan of the KJV, and its modernized version, the NKJV. Mainly because the Protestant translators were more honest in their translations than those who adhered to more heretical doctrines later in history. It’s not perfect, but it’s the best we have at the moment. Is it the ONLY good translation? Not necessarily – and it’s good to consult multiple translations, including the English translations of the Septuagint. There’s no one definitive text, only one definitive teaching. Orthodox Christianity is the most heavy metal of the Christian traditions. You understand that just from looking at the altar and the iconostasis in a church!. We are also served the Holy Gifts from a heavy metal chalice!